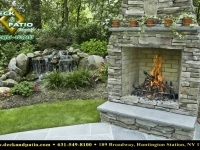 our creative outdoor living concepts have built a reputation for imaginative designs. 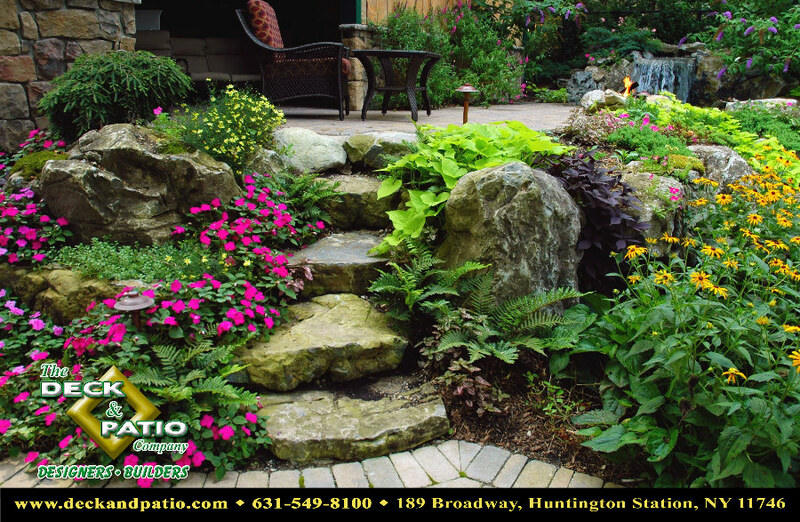 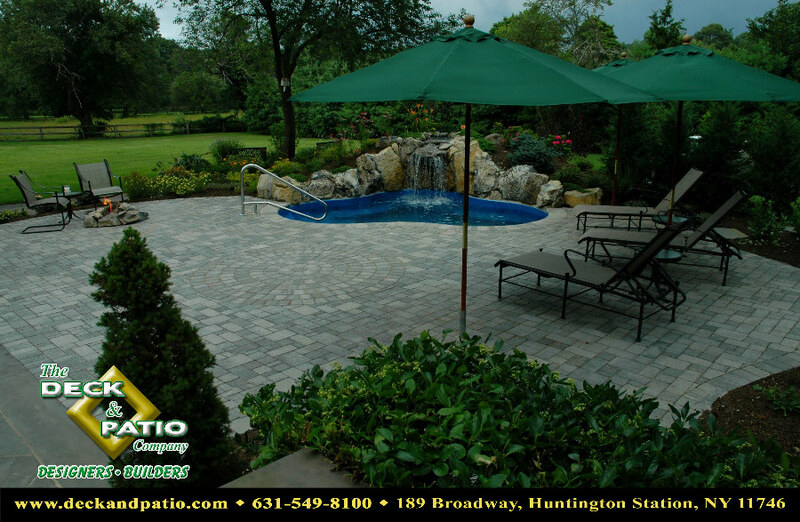 In our continuing effort to provide clients with original planning to enhance their outdoor living spaces, the following ideas are presented. 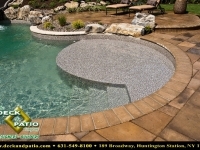 Get additional information below the gallery by clicking on the Read More button. 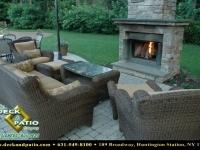 about improving your outdoor living experience. 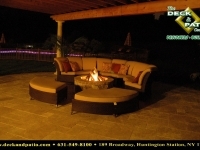 What is more comfortable and soothing than sitting around a “campfire” in the evening? 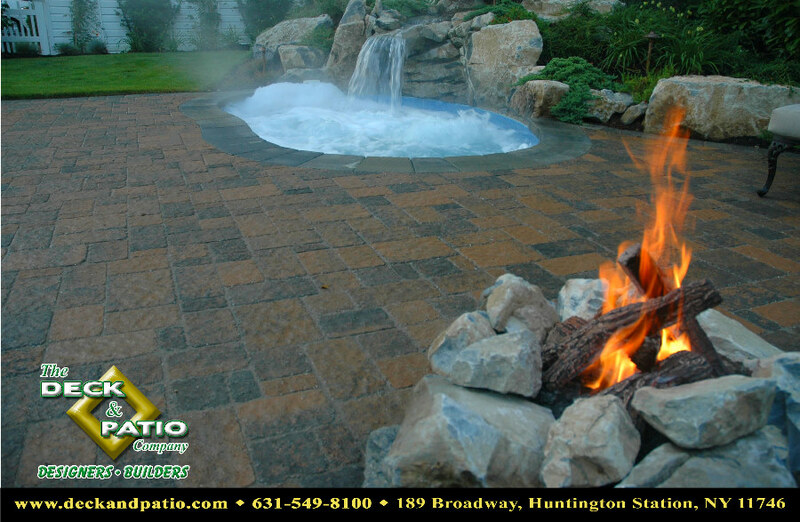 Your pool, patio, or other outdoor living site can become a family gathering area with a fire pit. 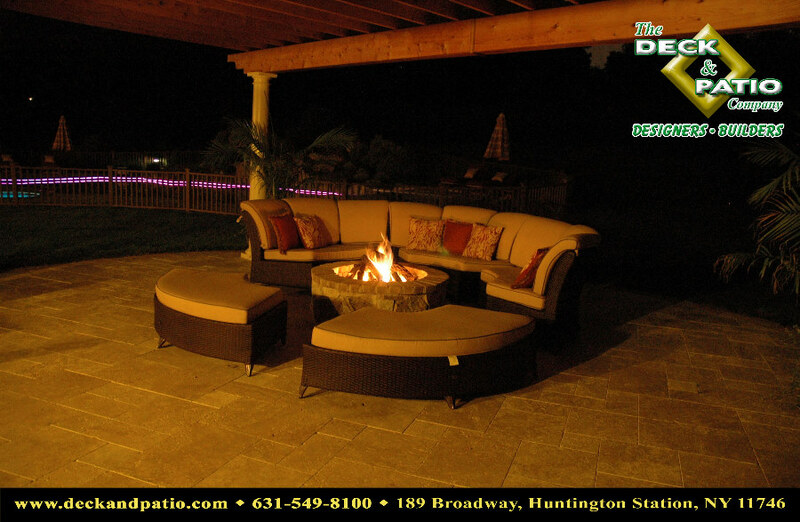 Fire pits provide ambience and allow you to use your outdoor area even more because you can easily chase away the chill on those beautiful fall evenings. 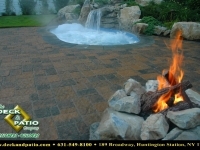 Now the convenience and safety of propane gas can start and stop the “campfire” with the press of a button. 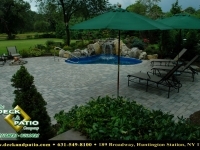 Do you want the luxury of a resort in your backyard? 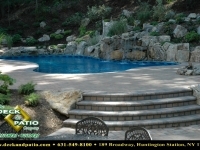 Remember the pictures of guests sitting in a pool sipping a tropical drink? 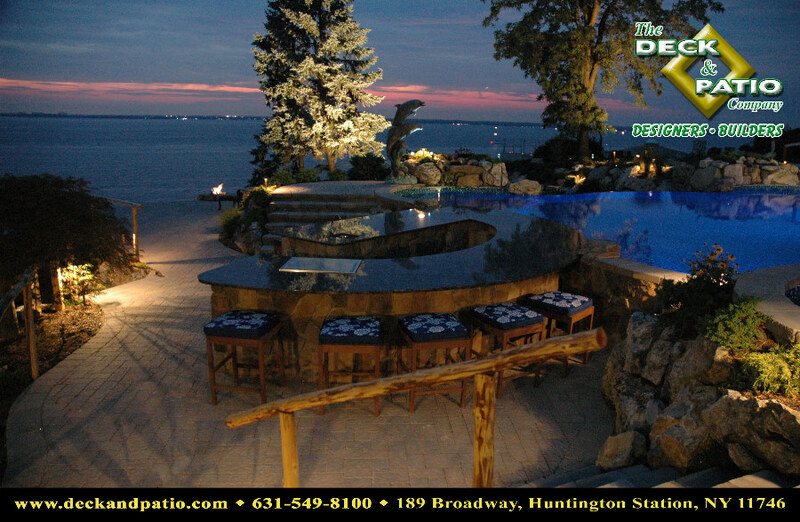 This luxury outdoor living concept is possible with a swim-up bar from Deck and Patio. 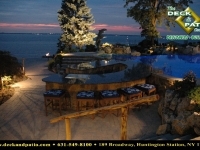 Our designers have provided clients with swim-up bars with submerged bar stools and also incorporated a recessed dry bar for the non-swimmers. 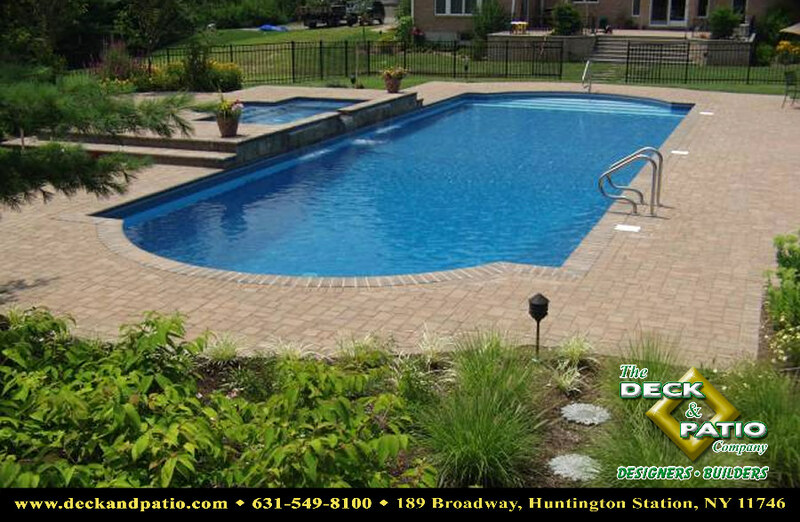 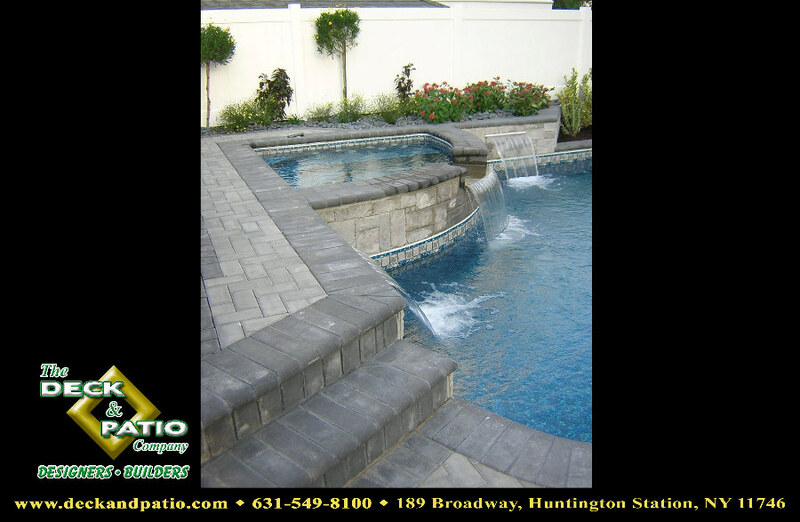 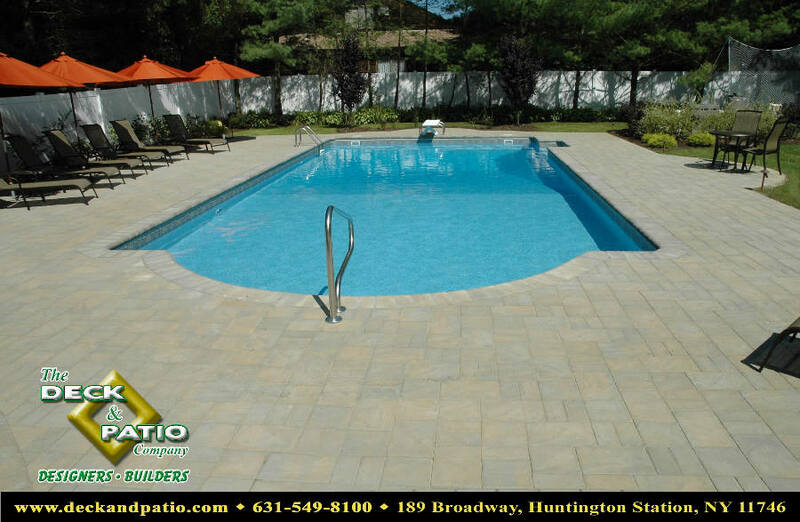 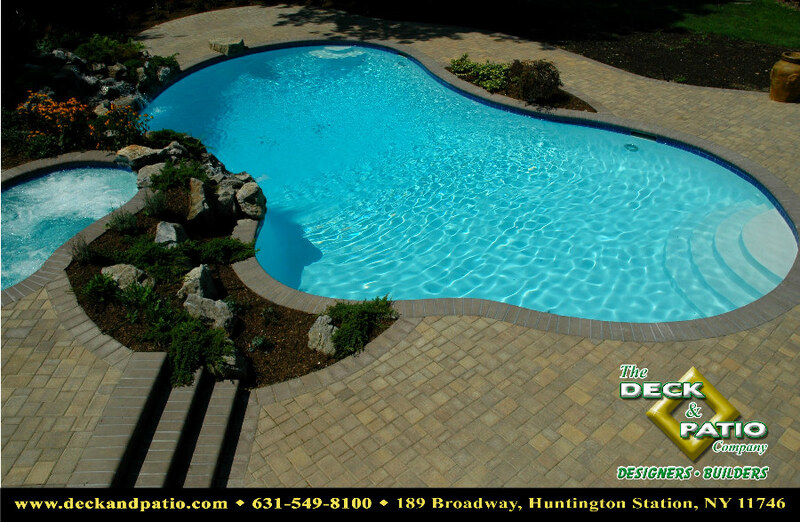 Unlike other pools, Deck and Patio designs their pool bar stools so the pool vinyl liner surrounds the outside of the solid, cast bar stool. 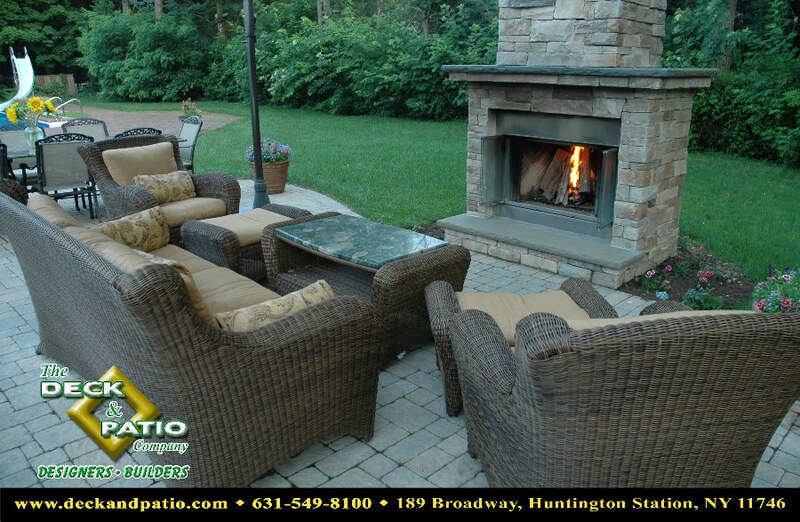 The bar stool is not an add-on subject to movement when used. 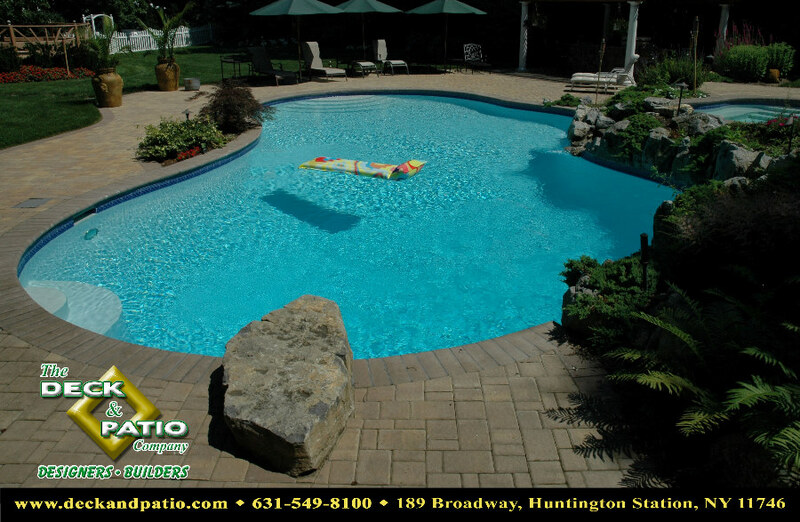 Mai Tai anyone? 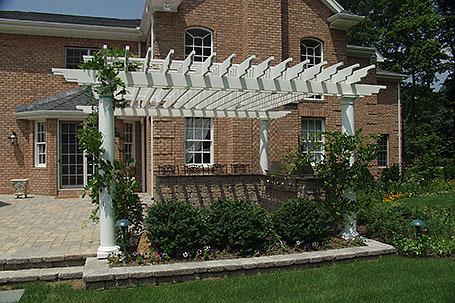 An idea of a Pergola may not be new, but how it’s designed can make it new. 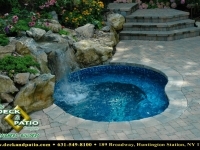 We have designed special enclosures to suit the location and surroundings of our clients’ homes. 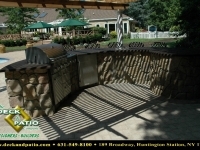 For some their pergola has provided an unseen weatherproof enclosure, others have been used for a beverage station, and still others use the covering for a personal retreat. 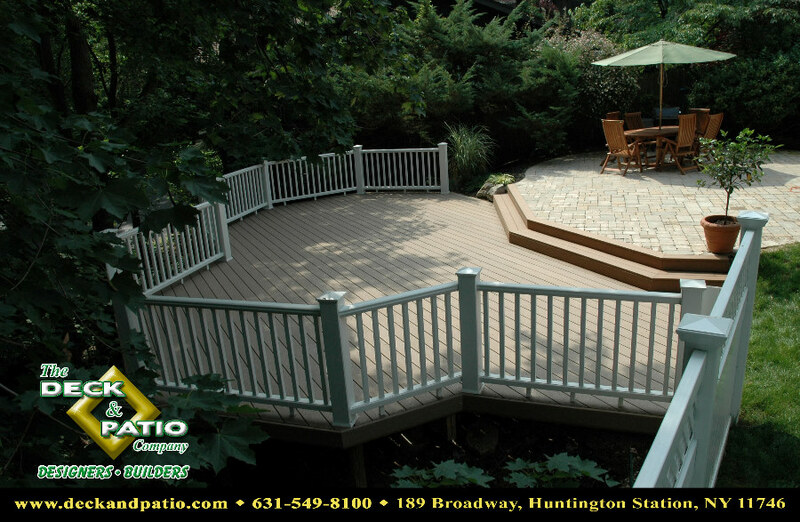 For a rustic feel, how about a Pergola made with trees branches still having the bark attached. 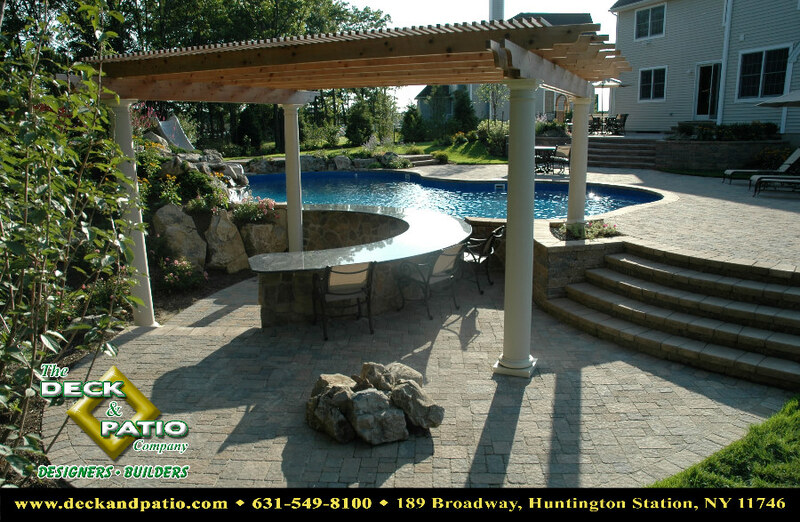 For a sophisticated design, a classic bar can be placed under the Pergola. 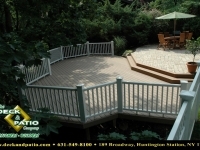 The possibilities for your pergola are endless with the good designers from Deck and Patio. A current trend for outdoor living is the “outdoor kitchen”. 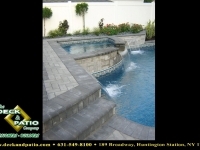 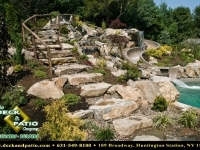 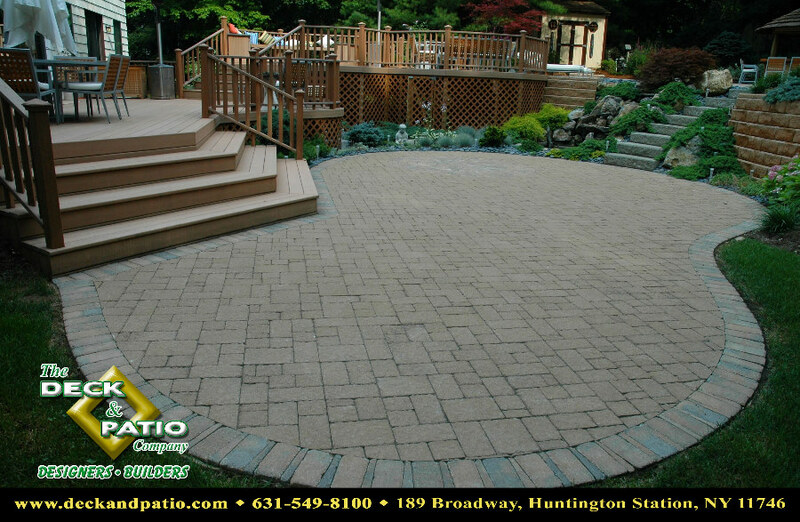 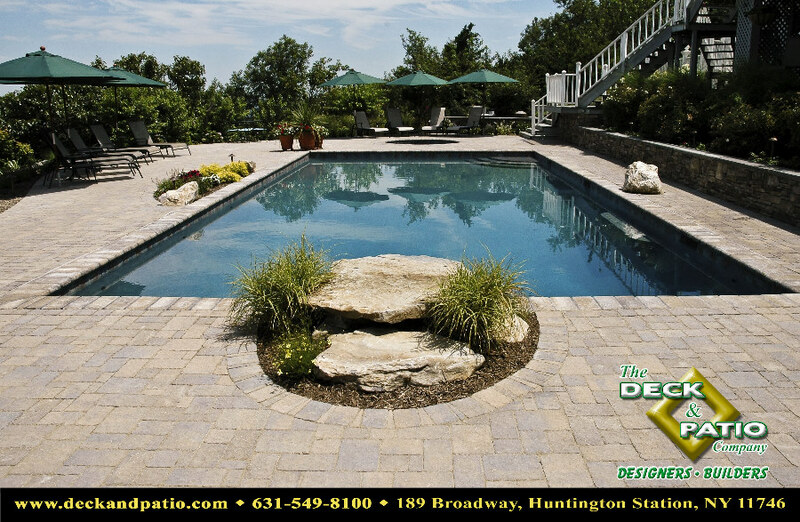 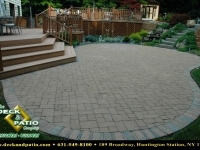 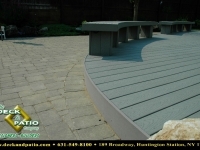 This is a style Deck and Patio has popularized on Long Island for selected clients. 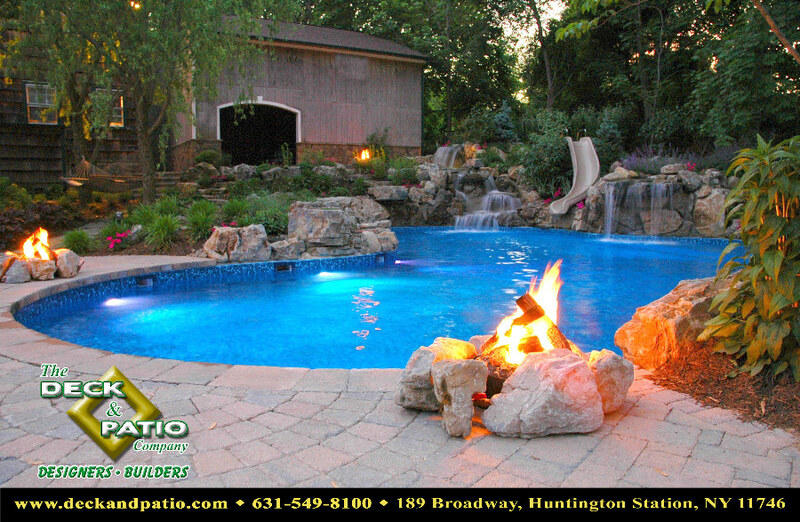 Why not enjoy the company of family and friends in an outdoor setting while preparing a meal. No longer does the person preparing the meal need to stay in a remote kitchen and call the group when finished. 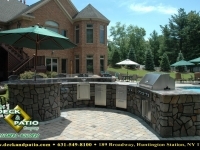 An outdoor kitchen allows enjoyment of outdoor activities as a participant, not as a bystander. 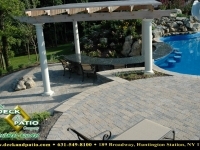 Why pick a style the gazebo manufacturer chooses when you can have one that matches and/or enhances landscape and installations. 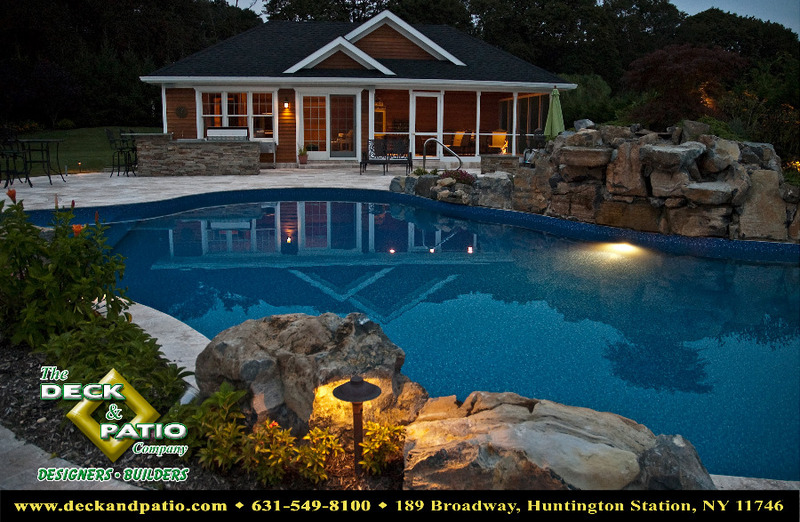 Your gazebo retreat can blend into the surroundings or be the main focus. 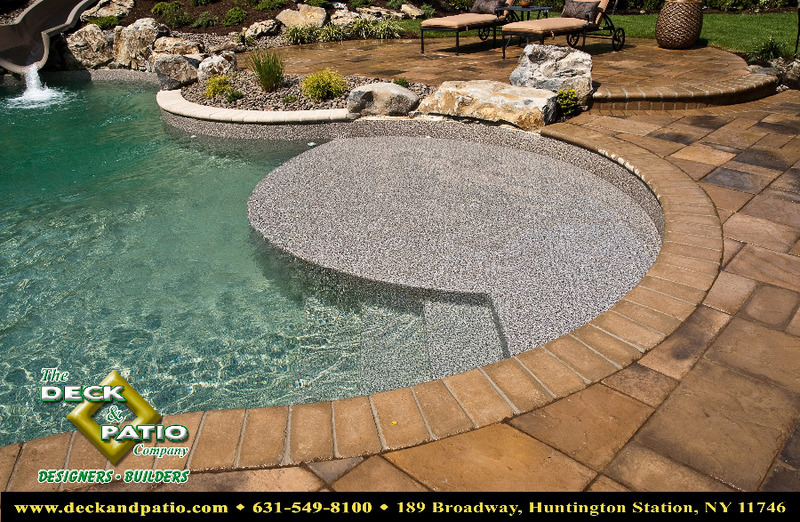 Open, screened, or all weather, the choice is yours. 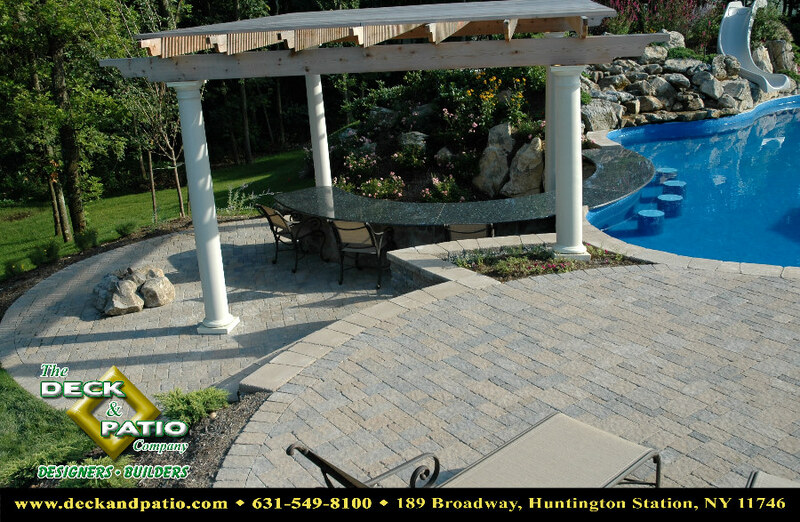 Whatever your choice, it will be used by our designers to integrate your Gazebo into your outdoor living space. 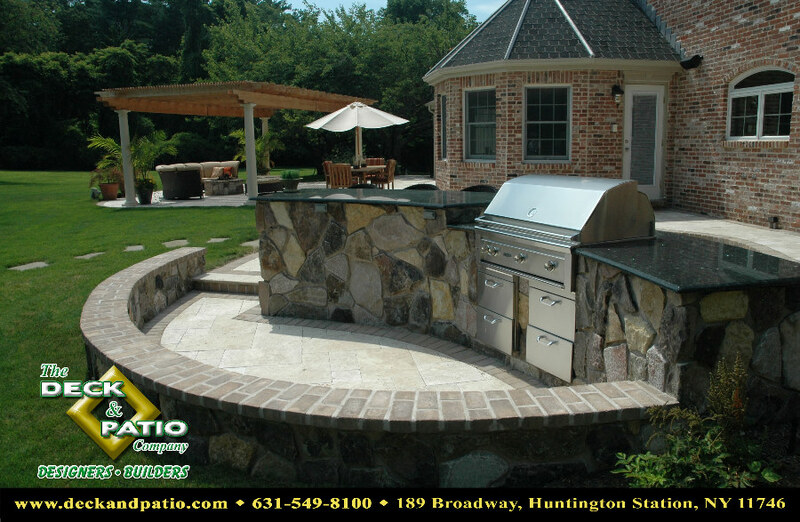 Do you love to barbeque to enhance the flavor of foods? 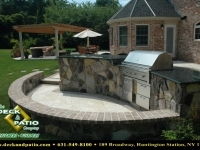 Would you like to have a barbeque pit that is set up and ready to go when you are? 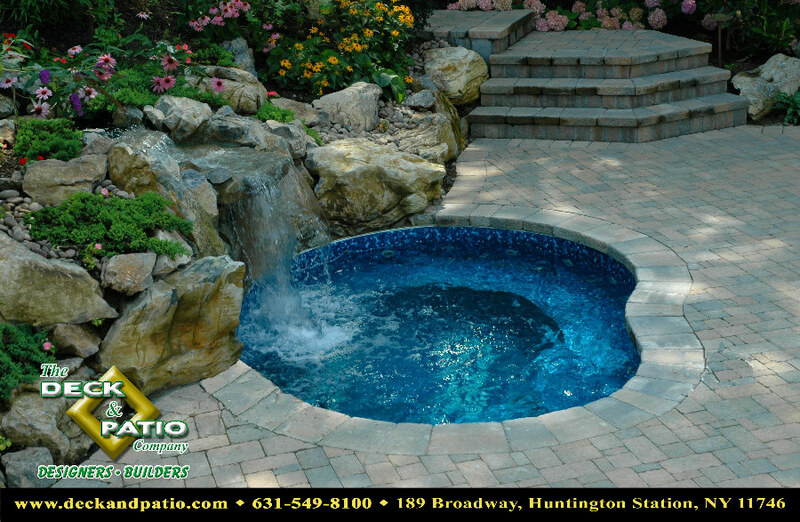 Then the question is, where do you want to place the pit. 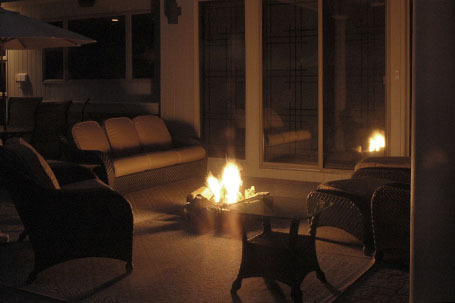 Forget about the old smoke filled area seen in westerns. 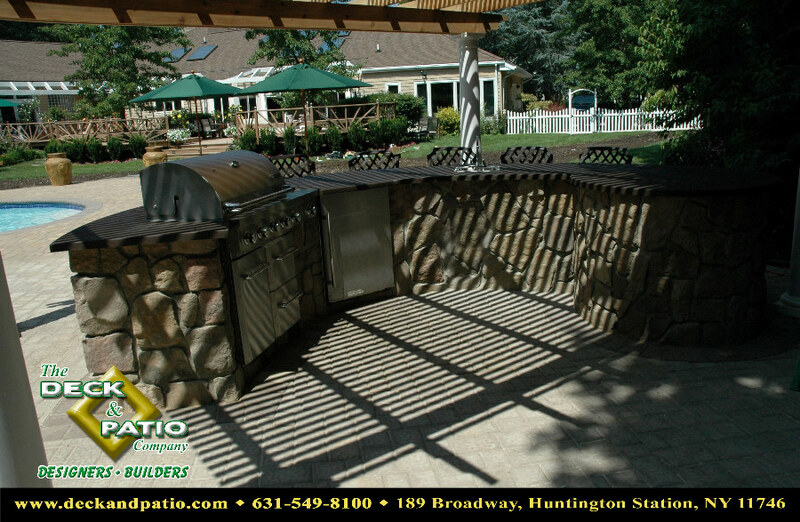 Our artisans can build a Barbeque Pit with modern conveniences at your fingertips. 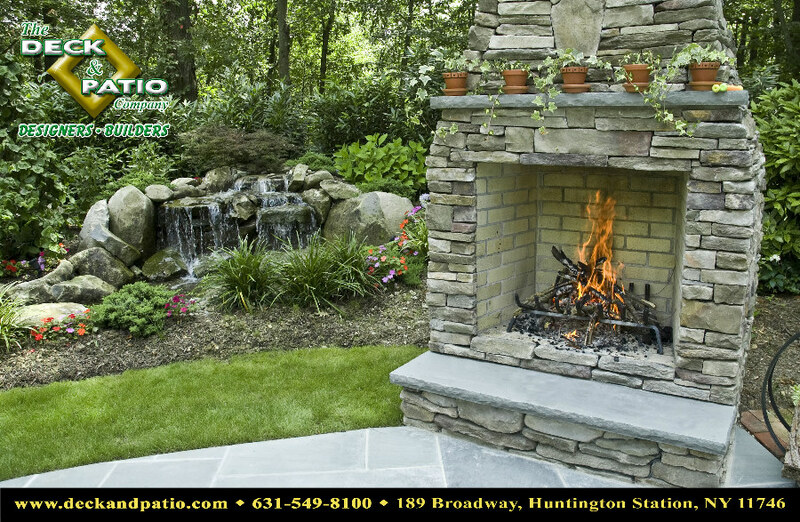 Your skills as a chef can only be enhanced with the right tools. 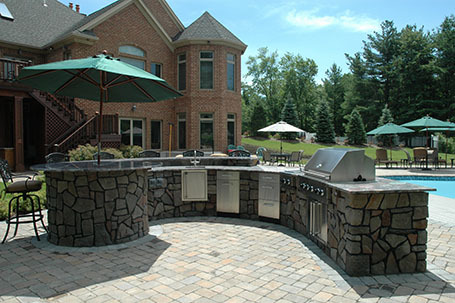 A barbeque built with modern design can be one of those tools. 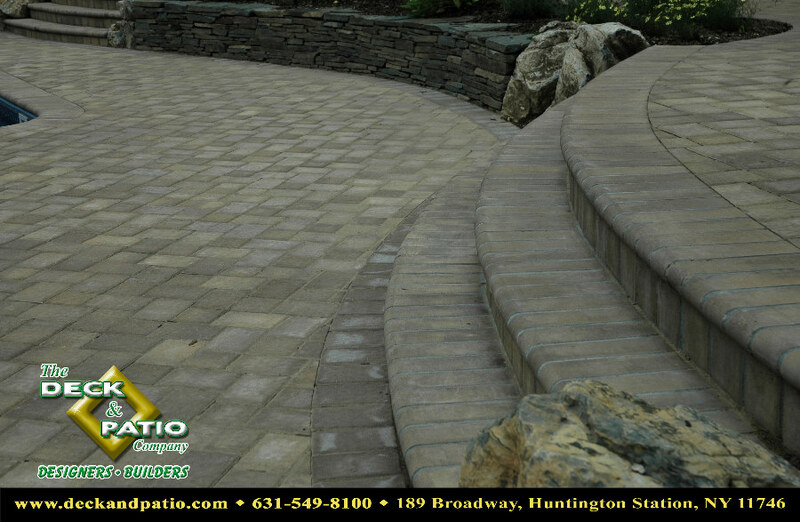 It’s no longer just a lattice to grow vines on. 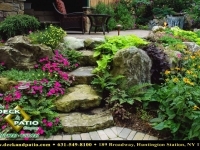 Integrating a trellis into a landscape design is often used to differentiate various parts of a garden. 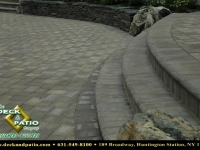 It is also used as an accent for aesthetic purposes in overall landscaping design. 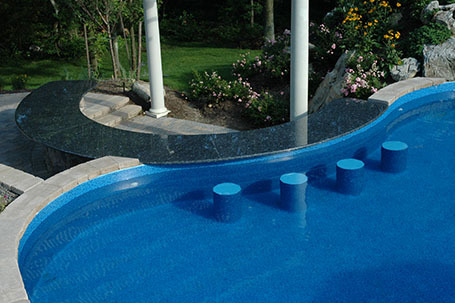 The ways a trellis can be used are almost infinite as long as good design is properly applied. 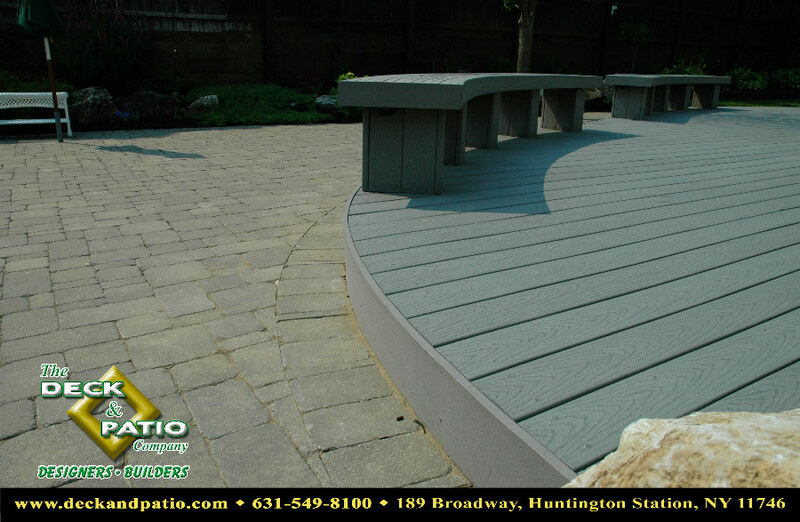 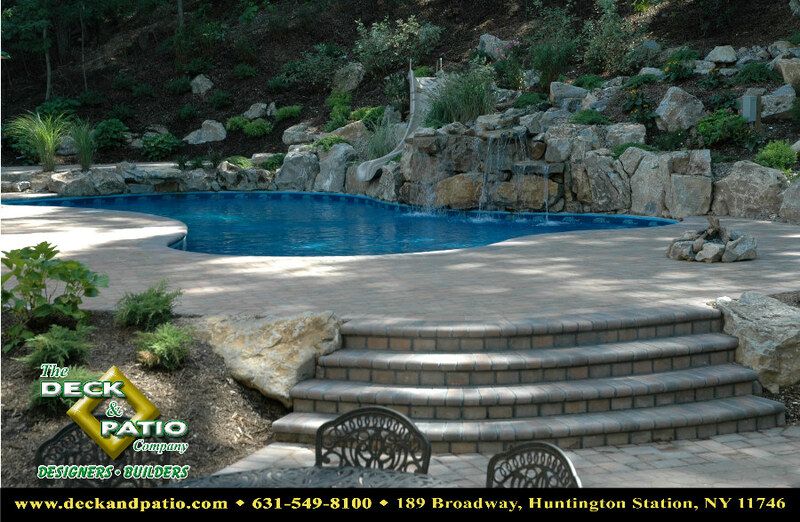 Contact Deck and Patio and let them help with your next upgrade to your luxury outdoor living space. 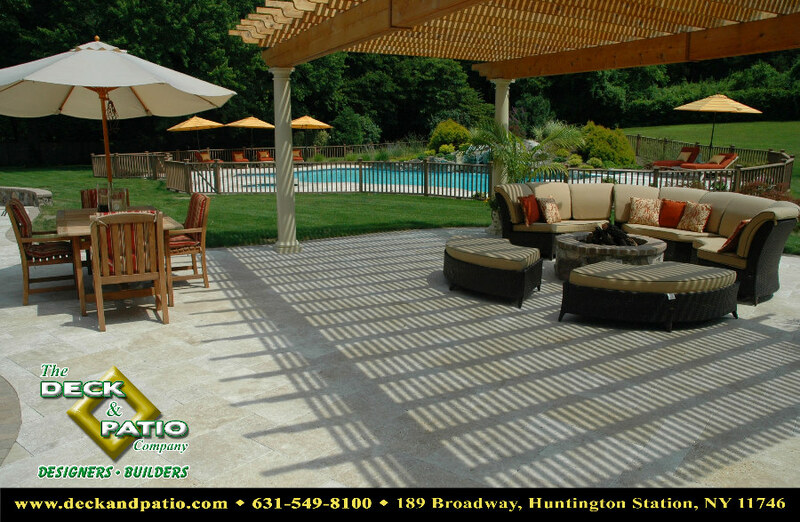 Shade is a valuable commodity that can easily be introduced into your patio by use of embedded umbrellas. 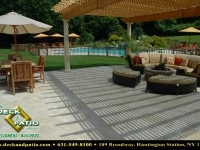 This cost-effective method uses groups of umbrellas to create “flexible shade” in an area where shade may be desired.